Radio commercials are invisible. But images do happen, in your mind. While the 1960s shift in print and TV advertising has been heavily documented and mythologized by Mad Men, Madison Avenue’s radiophonic collision with the counterculture is less well known. In this featured episode, radio advertising producer, writer and composer Clive Desmond covers the golden age of radio ads, including Frank Zappa, Ken Nordine, Linda Ronstadt, and Randy Newman. Desmond takes listeners on a highly subjective journey through one narrow, eccentric, corridor of radio advertising. He’s been working in the field for more than thirty years, and he’s won some of the industry’s top awards. In this piece, A 700-Foot Mountain Of Whipped Cream, he has rescued beautiful forgotten nuggets of radio history and delicately arranged them into a glittering associative chain—a constellation of jingles and spots that somehow all add up to more. A version of this two part episode was originally featured on The Organist, a bi-weekly experimental arts-and-culture program from McSweeney’s and KCRW, under the title A 700-Foot Mountain of Whipped Cream. 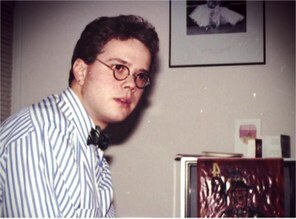 Executive Producer Andrew Leland.